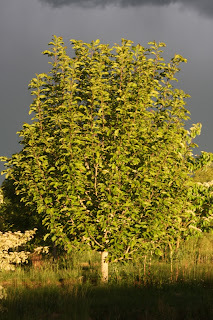 Let's return to Flora Farm, the spill-over land where I live, but which also hosts our field production, as well as a good many trees from the Flora Wonder (tm) collection. 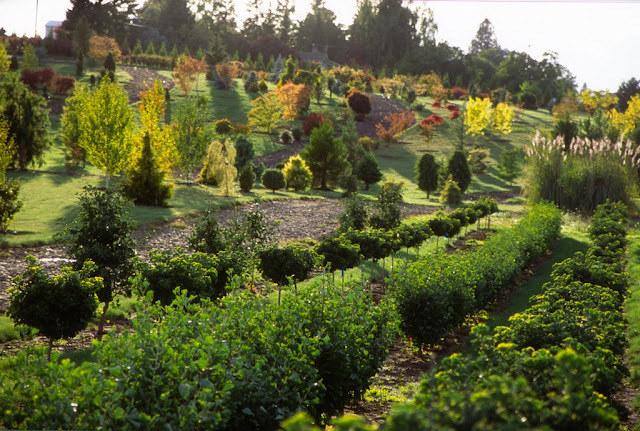 In particular we'll discuss a few plants in the FFDL section, which stands for "Flora Farm Deciduous Lands." 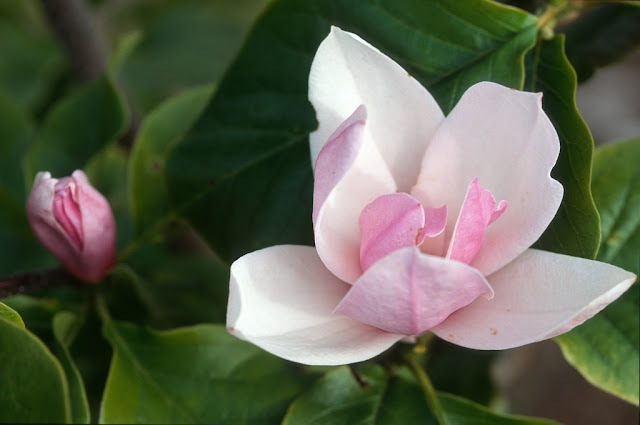 We have dozens of named areas, and the employees soon learn them, and can mentally visualize what is in each section, because if they can't they will quickly become ex-employees. At the beginning FFDL was a row-run field production area, planted in 2003. 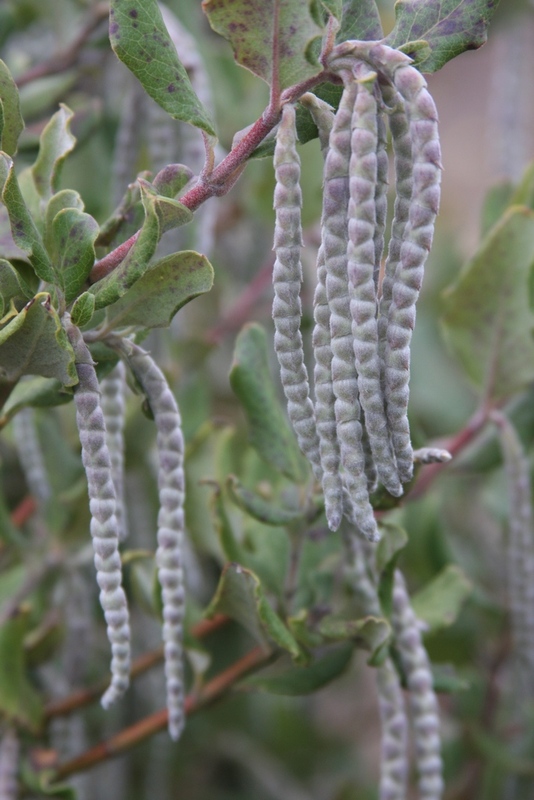 After the first harvest in 2007-2010, rows 1-20 gradually became one or two of each plant, left to grow onto large size, leaving decisions about overcrowding to future custodians. 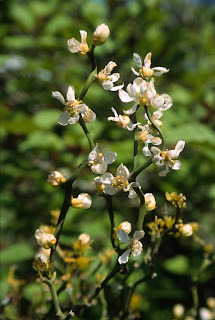 In an area of barely an acre one can find diverse species from all over the world, indeed from the "best corners of the world." 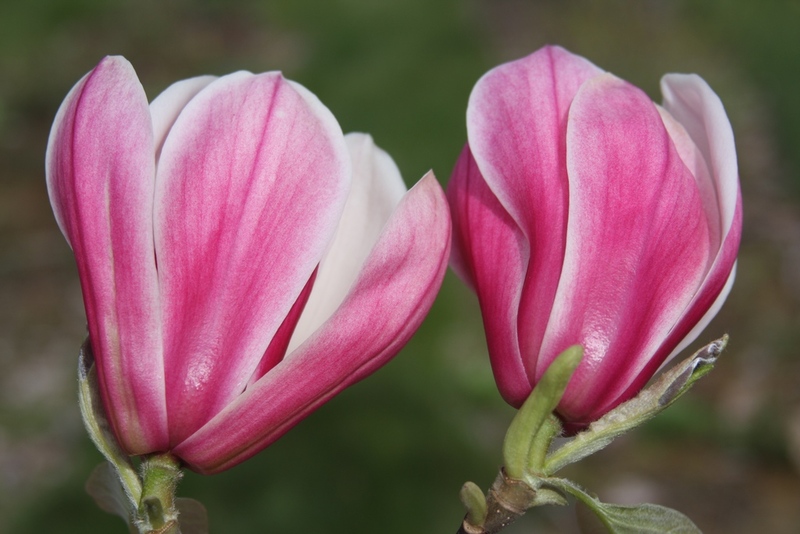 Magnolias are well represented here, and of course they will push into each other eventually. A favorite is kobus var. 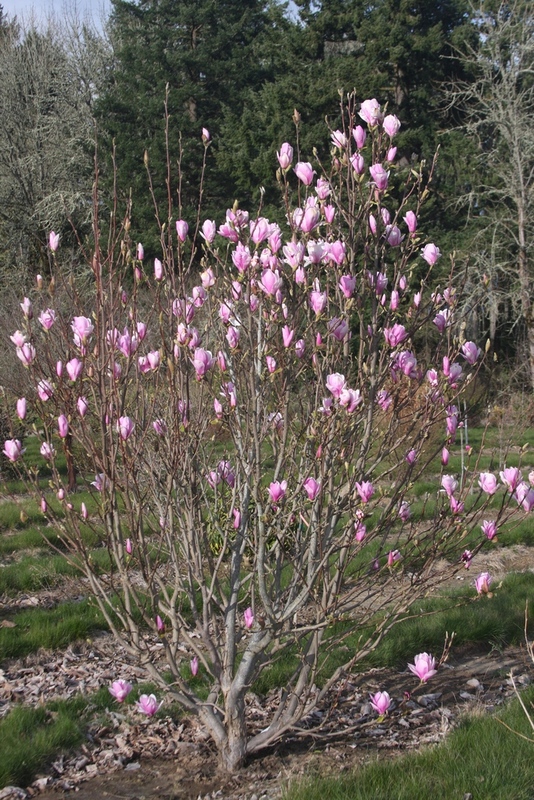 stellata 'Jane Platt', from the famous garden in Portland, Oregon. 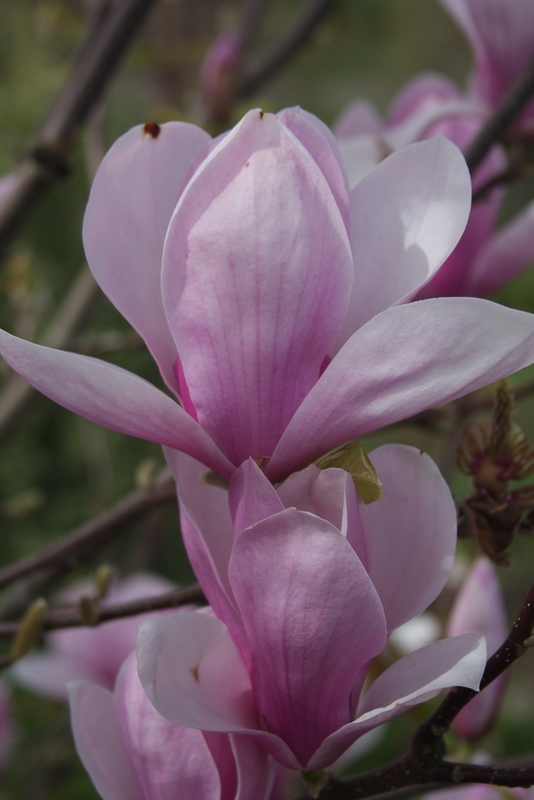 It displays hordes of soft pink blossoms in spring, and is fairly manageable in the typical garden, in that it does not grow too fast and large. As with many plants, for example dogwoods, the intensity of the flower color depends on the particular season. 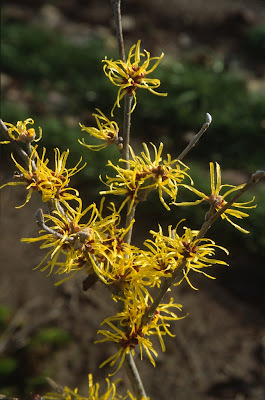 If high temperatures and extreme light arrive too soon, the blooms can fade; if spring progresses more mildly they can fully enrich themselves and last longer. 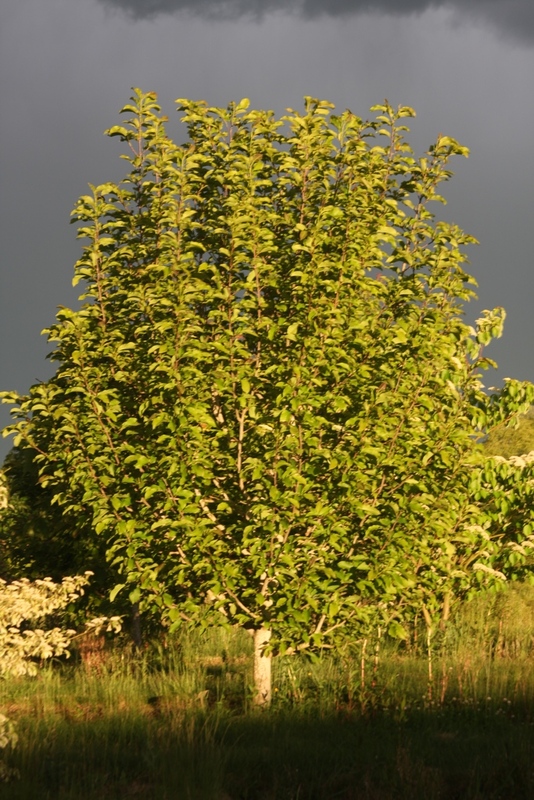 Soil type and the age of the tree are probably also factors. 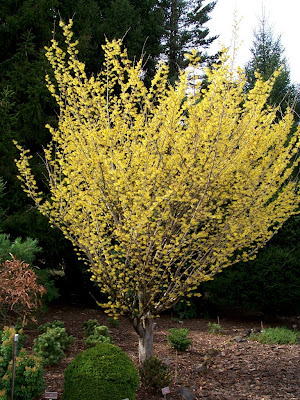 The original tree was growing for years in Ms. Platt's garden as a form of var. 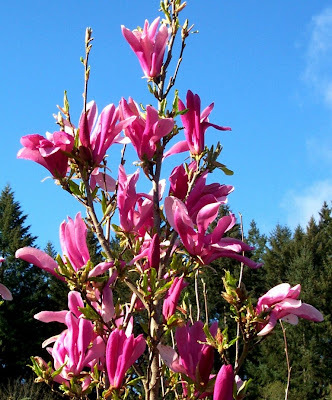 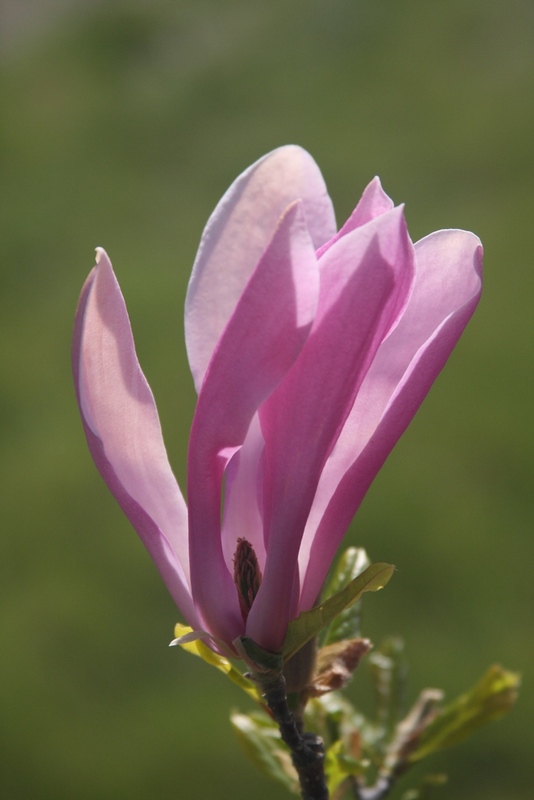 rosea, but Roger Gossler -- a well-known Magnolia aficionado -- insisted that the tree was a stronger pink than normal, so it was propagated and named it in her honor. 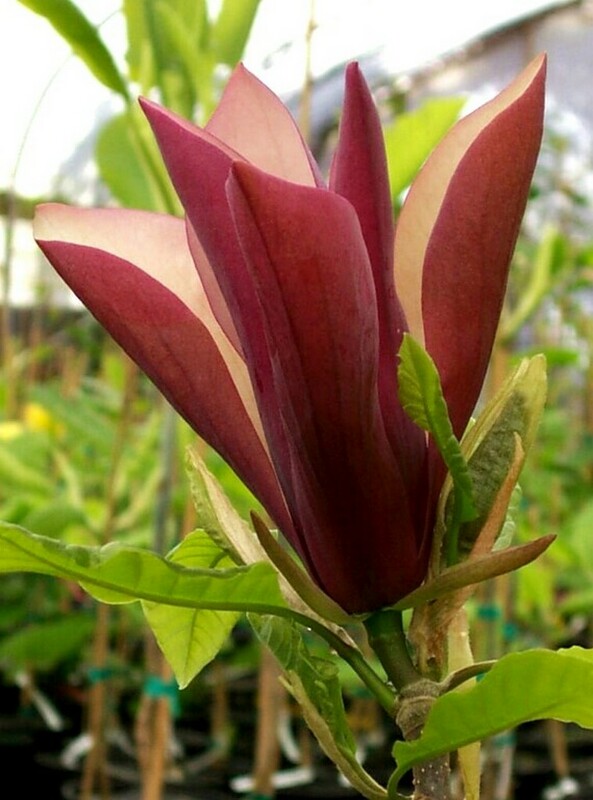 Magnolia x 'Star Wars' (a campbellii x lilliflora hybrid) from New Zealand has bloomed for us before, but maybe frosts had ravaged it, or it suffered from another problem, because it had never looked so good as last April. 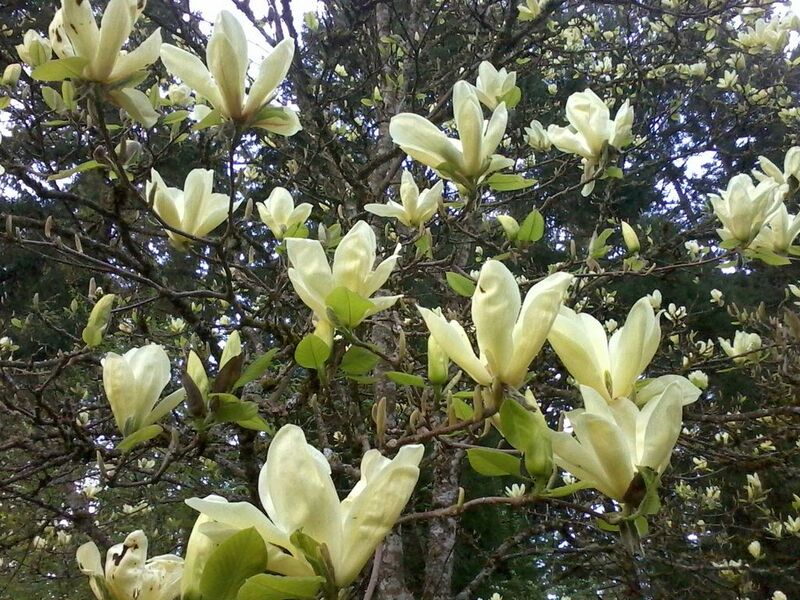 My wife was jogging around the property, tugging on our little Dachshund, when she stopped in amazement at the 'Star Wars'. 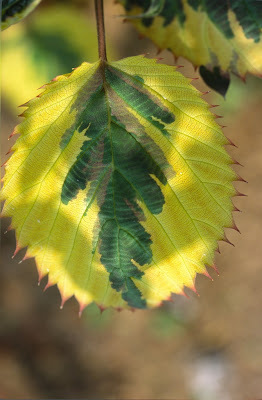 "Did you see it," she asked? 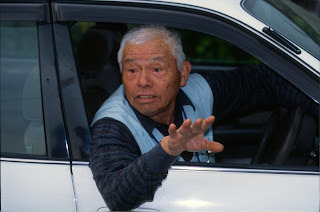 Well, no, actually I didn't even remember where it was. 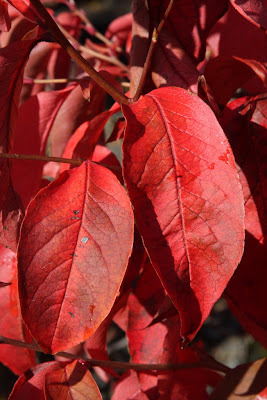 But I set out to the Deciduous Lands with camera in hand, and there was certainly no question once I got there. 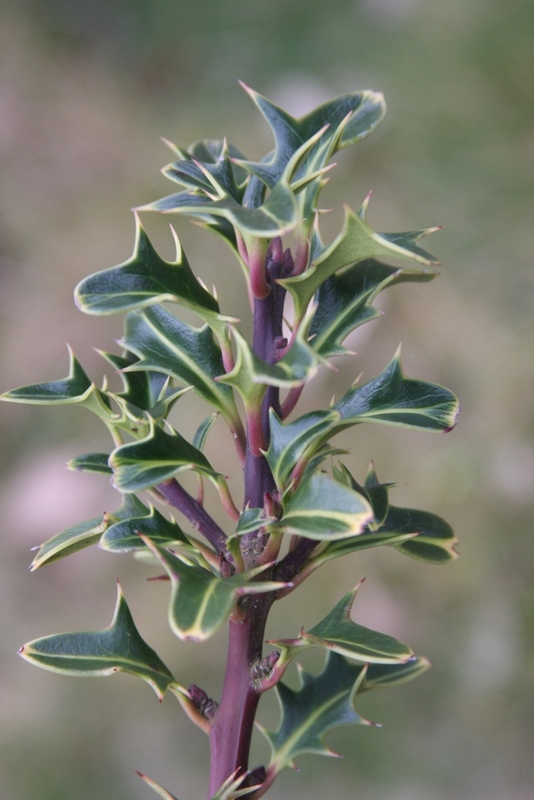 As you can see from the photo above, 'Star Wars' has a vigorous upright form. Even with the tender campbellii influence, it is hardy to -10 degrees F, USDA zone 6. Close to 'Star Wars' is x 'Red Baron', a hybrid of Magnolia acuminata crossed with Magnolia 'Big Dude', and was a selection from hybridizer Dennis Ledvina of Wisconsin, so it is plenty hardy. It forms a more open canopy than 'Star Wars', but is still very colorful when blooming precociously (before leaves appear). 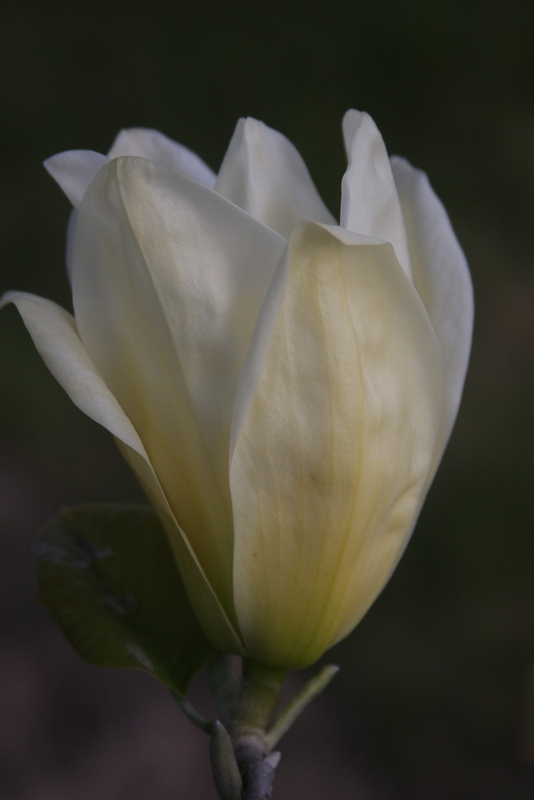 A few more Magnolia cultivars should be mentioned: Magnolia soulangiana 'Coates', x 'Susan', x 'Shiraz', x 'Black Beauty' and x 'Elizabeth'. 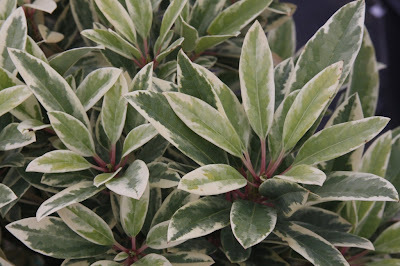 'Coates', named for the former plant propagator at the Royal Botanic Garden at Kew, is my favorite of the soulangianas, with fairly large pinkish-white tepals that have a crisp, clean look. 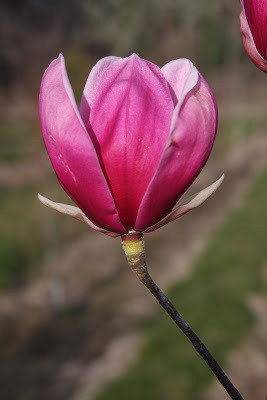 Magnolia x 'Susan' is a small tree bred at the US National Arboretum in 1956 by William Kosar, and features rich green leaves, so it is attractive throughout the year. 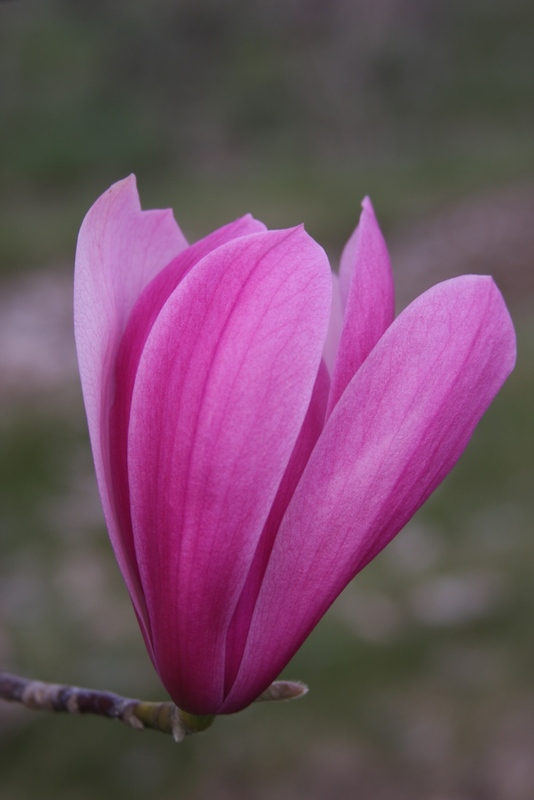 The blossoms are deep red when they first emerge, and the tree is very hardy...to -30 degrees F.
Magnolia x 'Shiraz' forms a broad tree, and displays rich burgundy flowers in a tulip shape. x 'Black Beauty' can have deep purple-black blossoms, but the tepals don't last long on the tree in my experience. 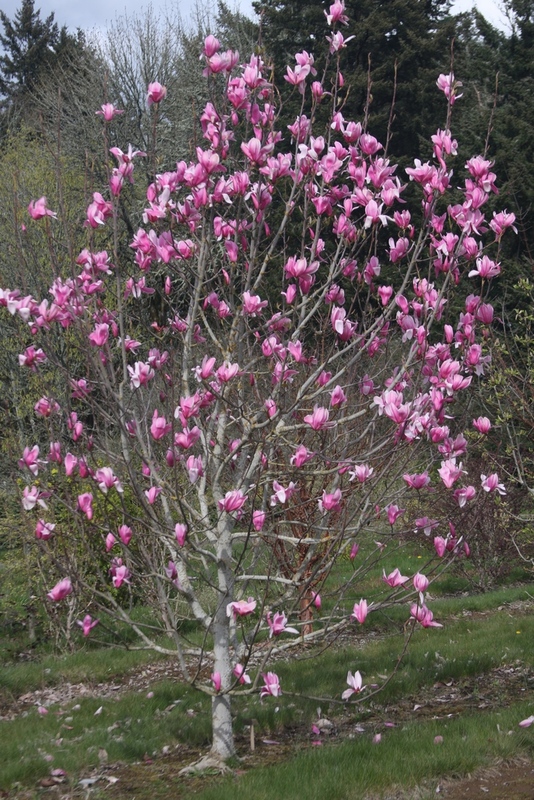 Finally, Magnolia x 'Elizabeth' is an old cross from the Brooklyn Botanic Garden. 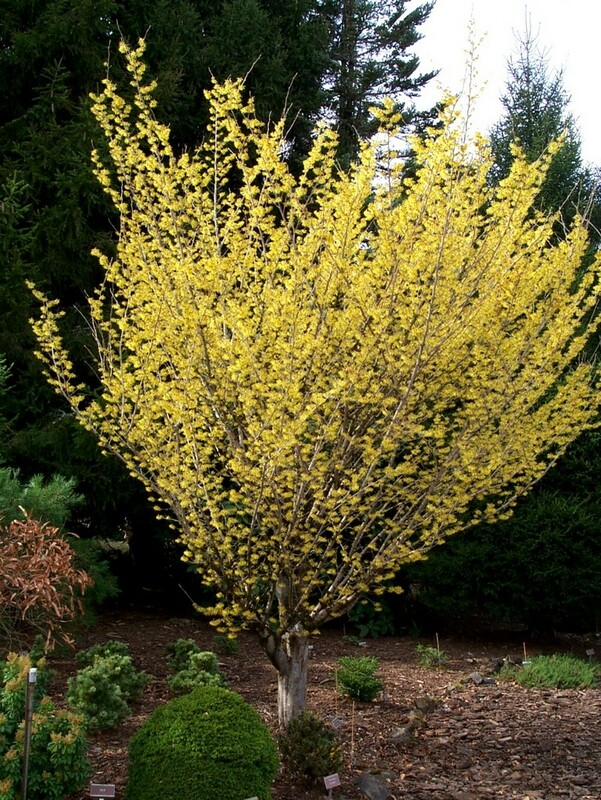 It is not a strong yellow, but remains a favorite due to its large cream-yellow flowers which blooms precociously. The tree will get large however, but in my FFDL I don't care. 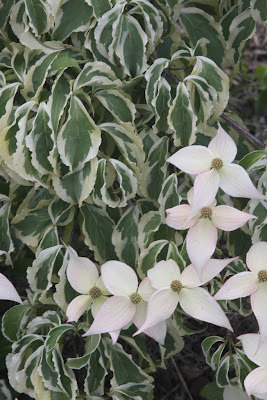 There are other Magnolias here as well, but let's move on to some Cornus. 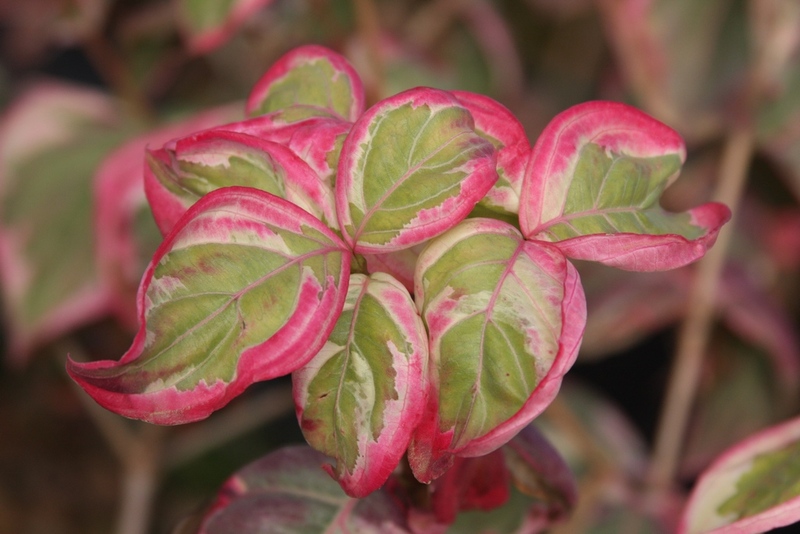 Cornus kousa 'Akatsuki' is currently very popular, due to variegated foliage and pinkish-red flower bracts. 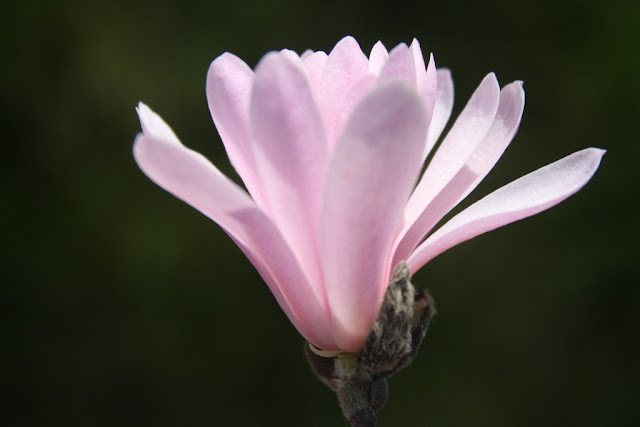 As with the Magnolias, intensity of flower color can vary from year to year. 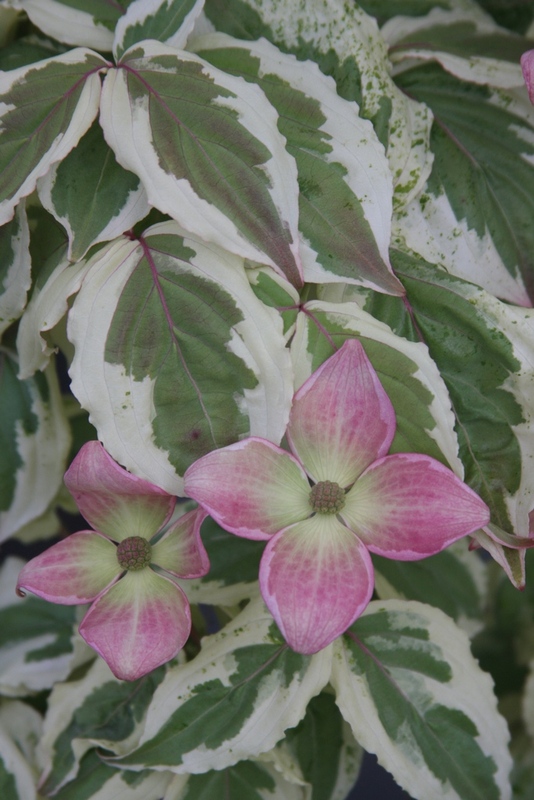 The variegated leaves are not as attractive as our introduction, Cornus kousa 'Summer Fun', but then it does have reddish flowers, while Summer Fun's white blossoms are lost in the foliage. Akatsuki's fall color can be impressive, in shades of pink, red and purple. 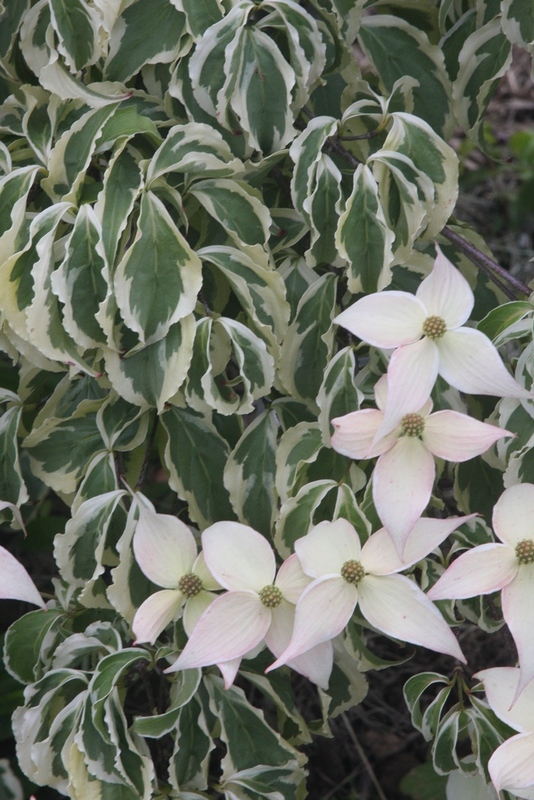 Cornus kousa 'KLVW' stands for "Kristin Lipka's Variegated Weeper." 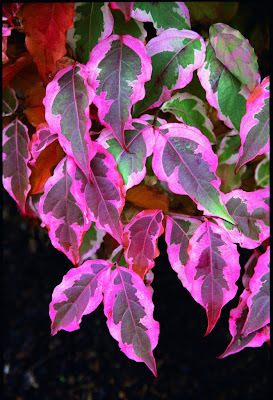 Certainly a less cumbersome cultivar name could have been chosen, but it honors Mr. Lipka's daughter who was ill with cancer at the time. 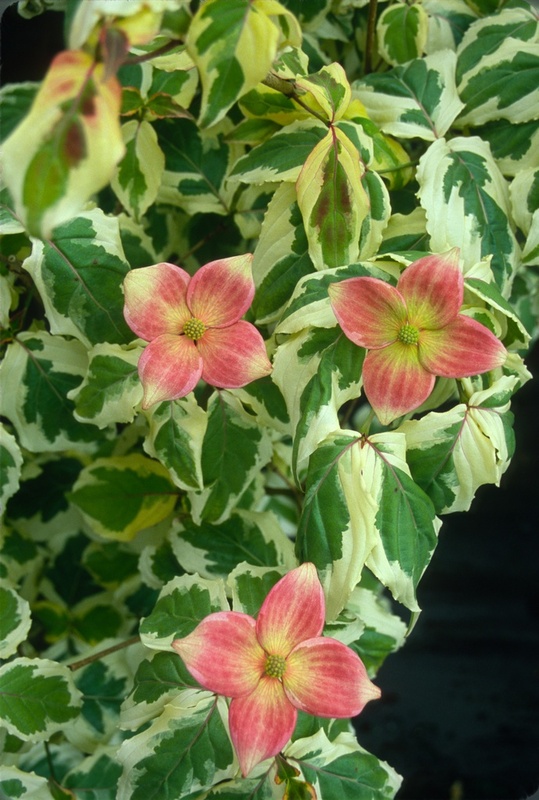 The name says it all: it's variegated and it weeps. 'KLVW' sprawls somewhat when young, but at maturity our specimens form fairly neat mounds. 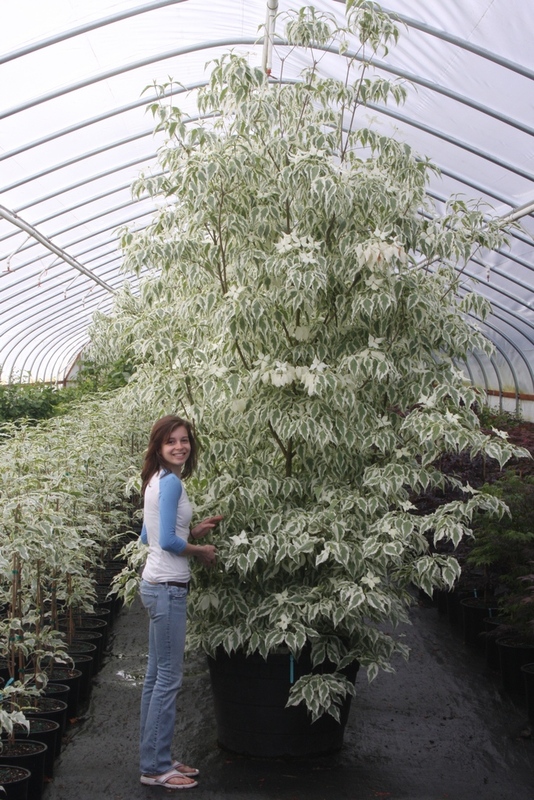 I have featured our selection of Cornus alternifolia before -- 'Moonlight' -- which is a delicate cloud of green and white foliage (but mostly white) in spring. 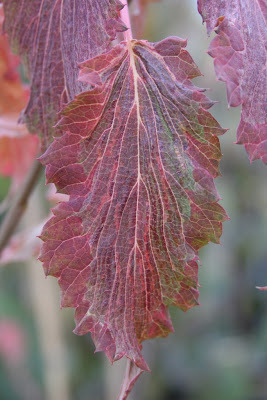 By August, but long before the leaves completely fall, the white edge changes to pink, then to deep maroon. When young, 'Moonlight' can be leggy without pruning, but the two photos above (taken on Sept. 10, 2012) demonstrate that a well-grown specimen is absolutely worth the effort. 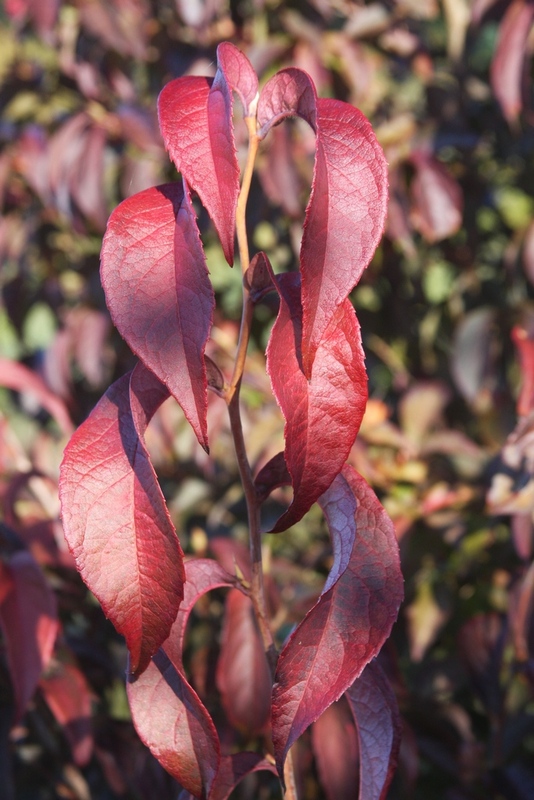 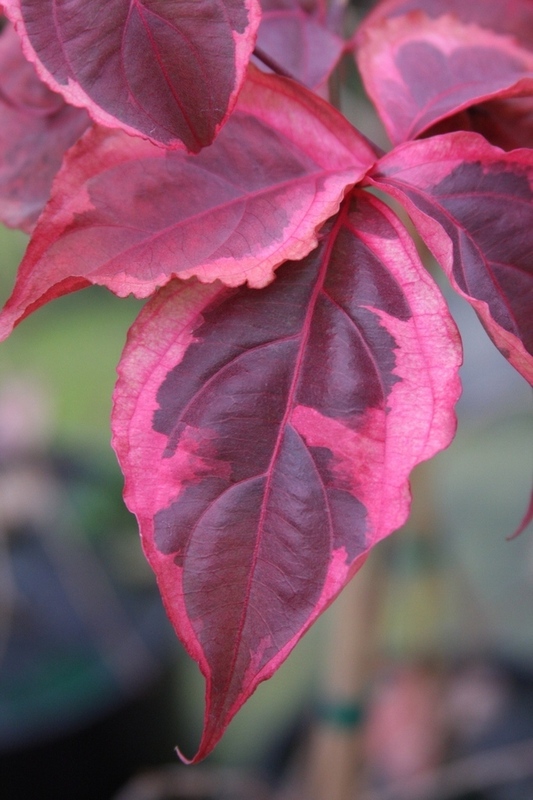 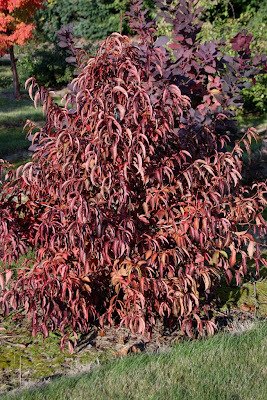 One last Cornus is sanguinea 'Compressa'. 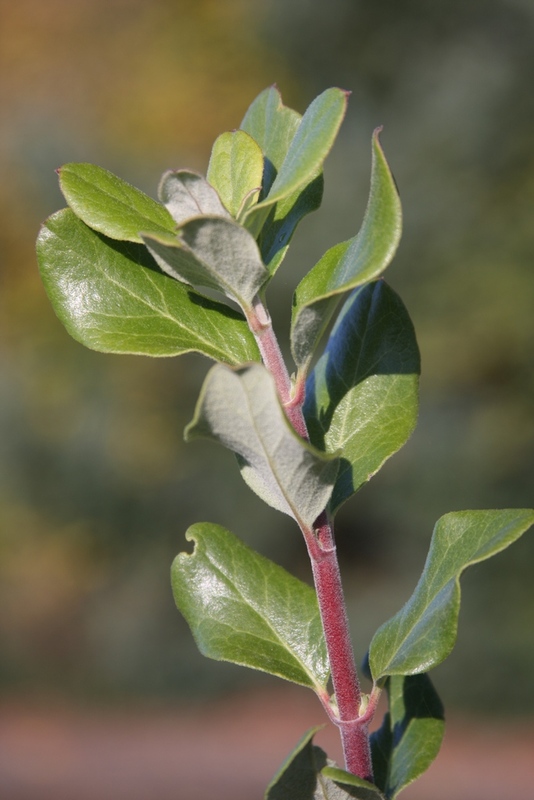 It is slow-growing and dense with very short leaf internodes. Round green wrinkly leaves become dark purple before falling. 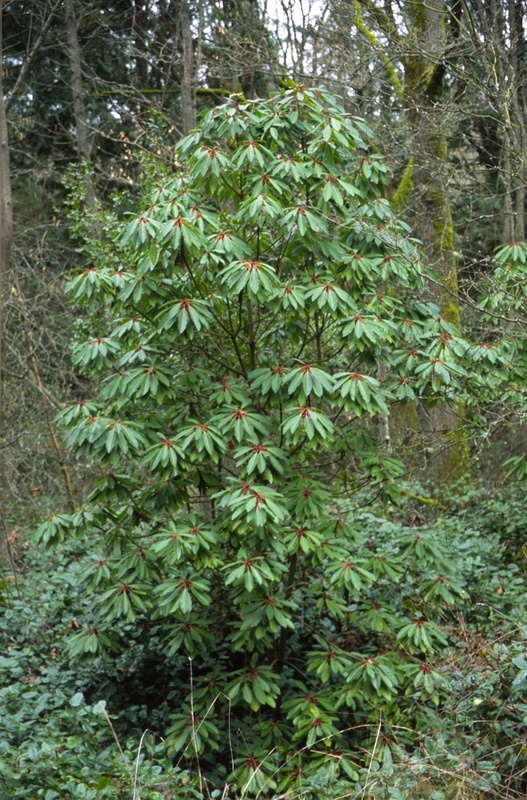 Growth rate in luxuriant Oregon is probably faster than in most other locales, but our plants reach only 3-4' tall by 1' wide in ten years, and I personally have never seen a specimen over eight feet tall. Width can vary, as this species is stoloniferous; and what that means in practical terms, is that if you dig one out of the garden, you may not have removed all of it. Two species of Stewartia, sinensis and rostrata, are planted near each other, but so far they are difficult to tell apart. Since both are seedlings, it may take some time to determine if they are correctly identified at all. I am at the mercy of seedling growers where I acquire these species. 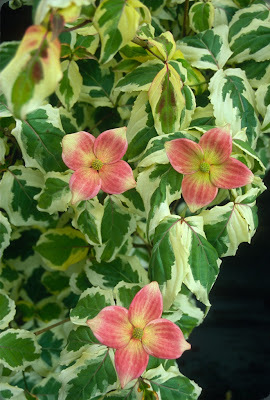 They probably easily hybridize anyway. 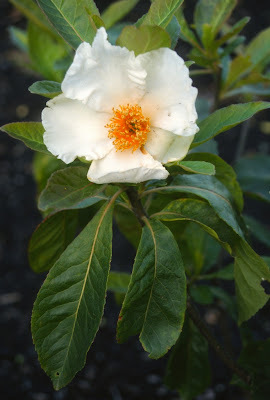 I'm far from a Stewartia expert, even though I have grown many species for quite a few years. 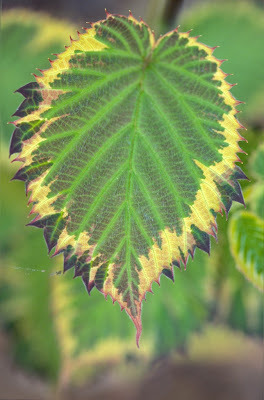 I'm not really very botanically inclined anyway, or perhaps I'm just lazy to seriously study them. 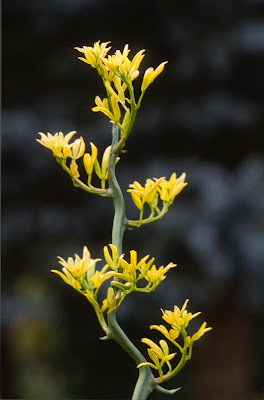 I encourage the reader to google The Plantsman, the quarterly from the Royal Horticultural Society, and a fine article in the June 2008 issue by Hsu, Boland and Camelbeke will explain the genus far better than I can. 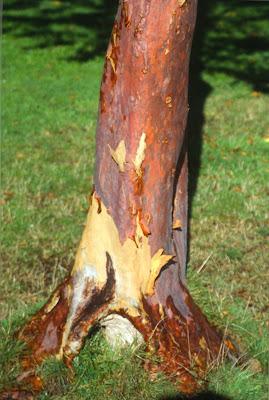 But first finish my web log. 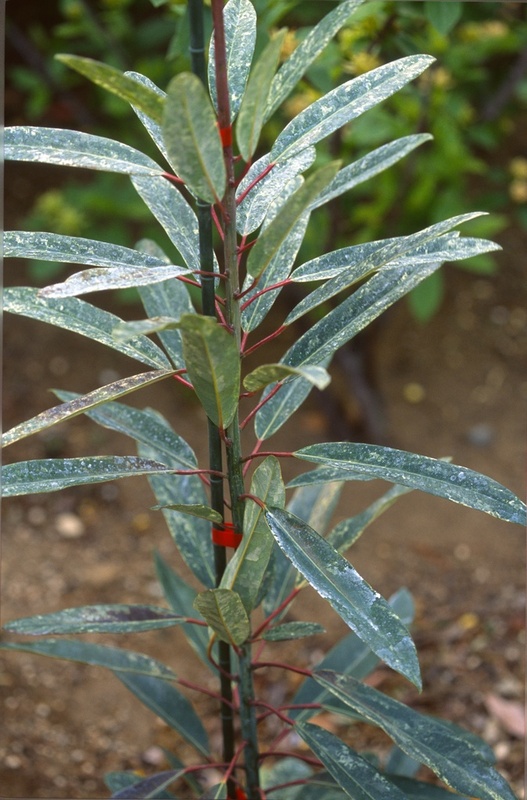 Three Ilex examples are planted in FFDL: fargesii, aquifolium 'Moonbeam' and aquifolium 'Hastada'. 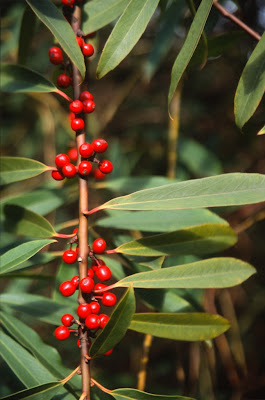 Ilex fargesii is a handsome species from central China, and is noted for long narrow green leaves. Today, at the end of September, the bright red berries are quite attractive. 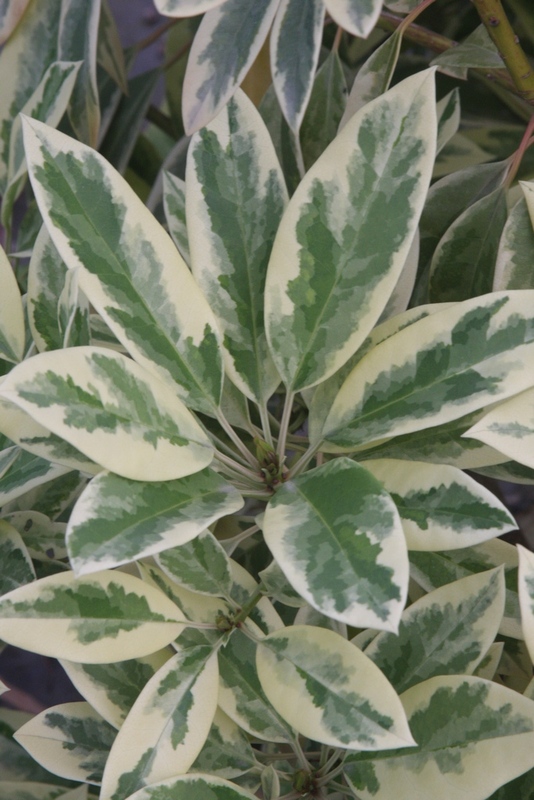 'Moonbeam', a slow-growing broad shrub, is known for rich cream-yellow foliage. 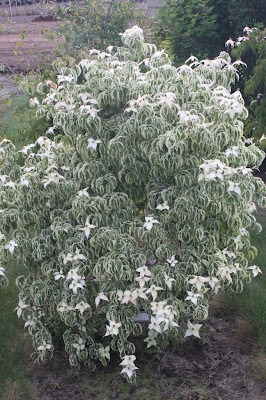 After our annual 100 degree F days, the leaves bleach to a more cream-white color, but they do not burn. 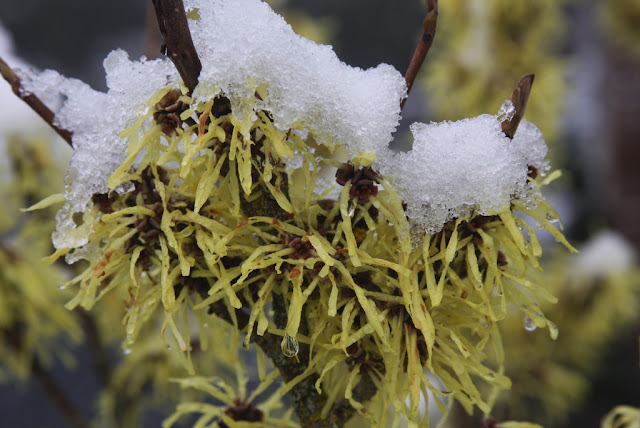 In the winter our little specimen glows brightly, even on foggy days, and can be spotted from a long distance, and is certainly a beam of good cheer in the winter garden. 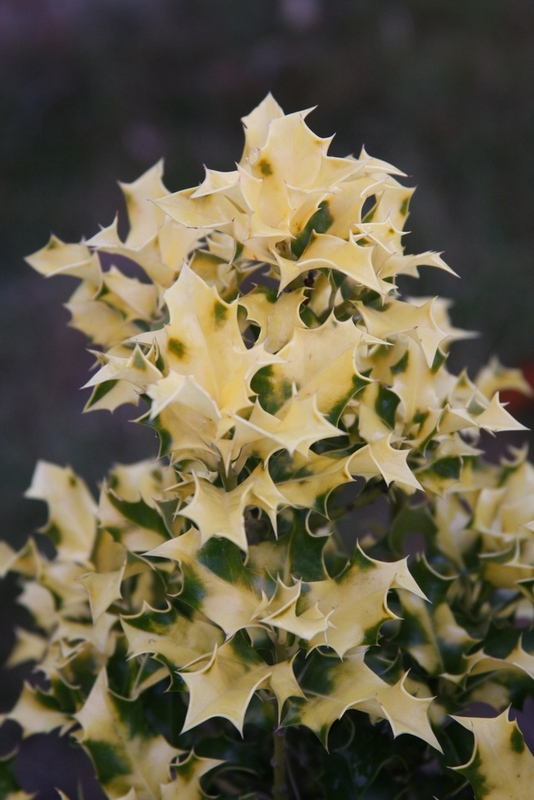 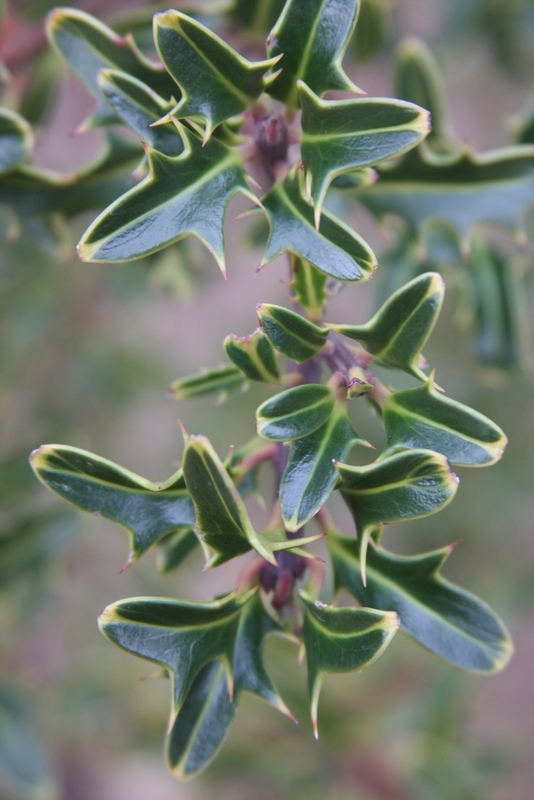 Ilex aquifolium 'Hastada' is an upright shrub with curious small leaves with two short spines at the base of a narrow obtuse leaf. 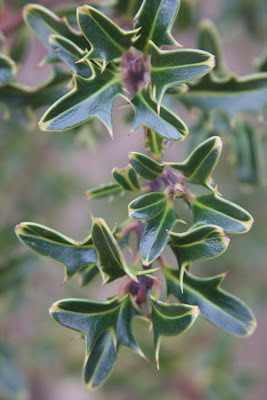 Leaves are glossy green and are borne on purple stems. 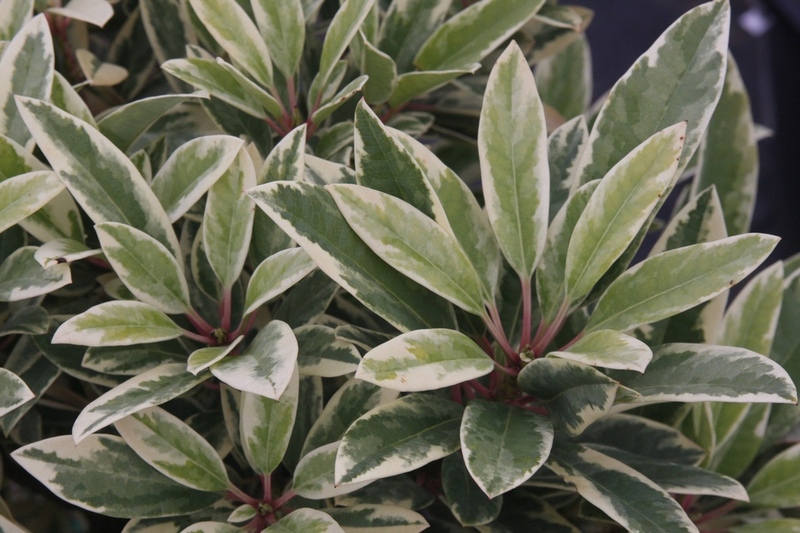 As with 'Moonbeam', these evergreen hollies add much interest to the winter landscape. 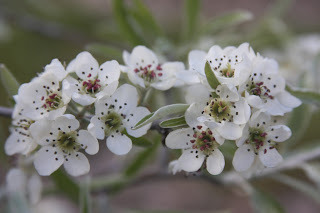 'Hastada' is alleged (Hillier) to be a male, and it must be so, as I have never seen it berry. 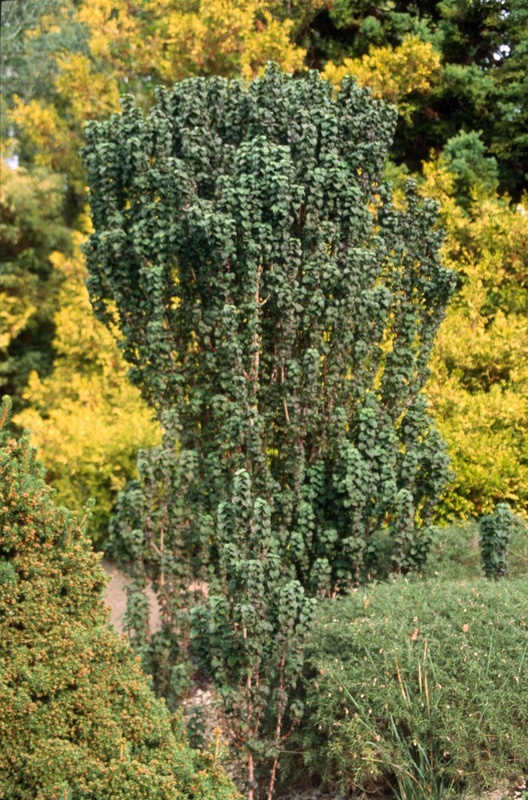 A favorite tree of mine, at least where space allows, is Pyrus salicifolia 'Pendula', the weeping "willow-leaf pear." 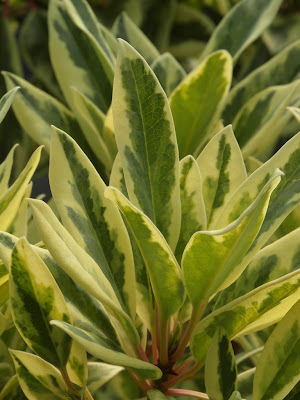 It is elegant and graceful with silvery-green narrow leaves. 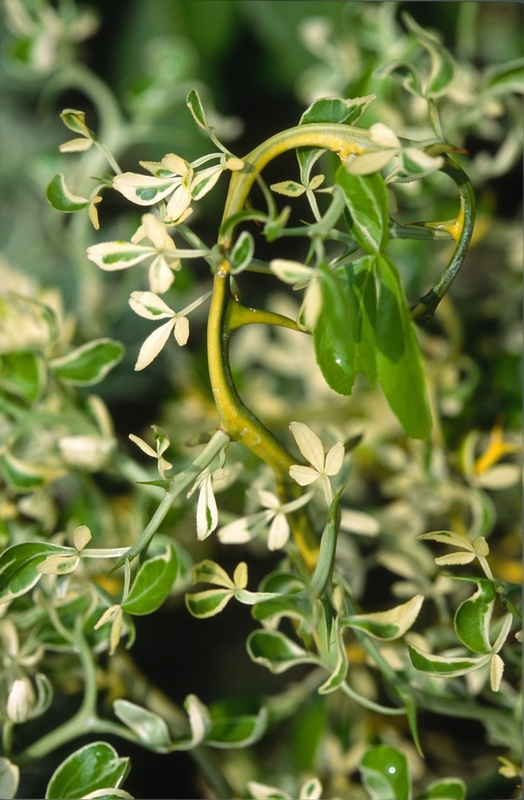 Small flowers are creamy-white, but can be missed from a distance...lost in the vibrant foliage. 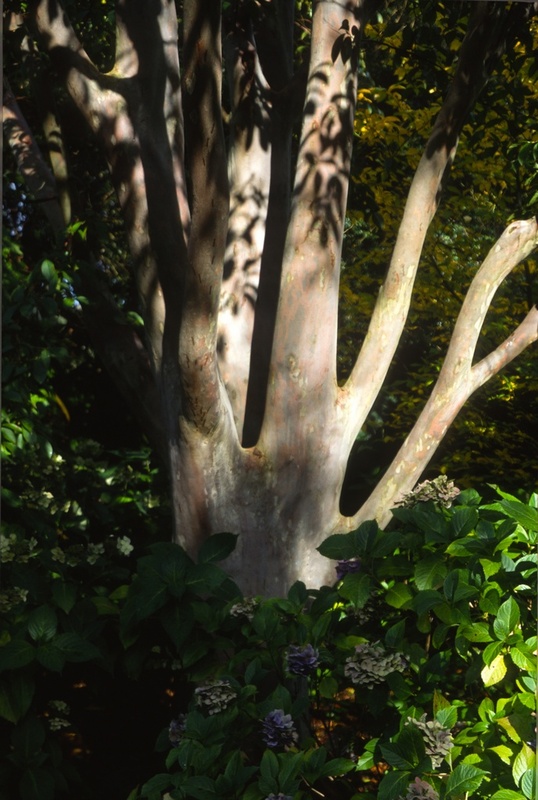 Eventually a decision must be made, for my largest specimen of Acer griseum 'Narrow Form' and my weeping pear will collide, and I suppose the maple will have to be moved for the third time. 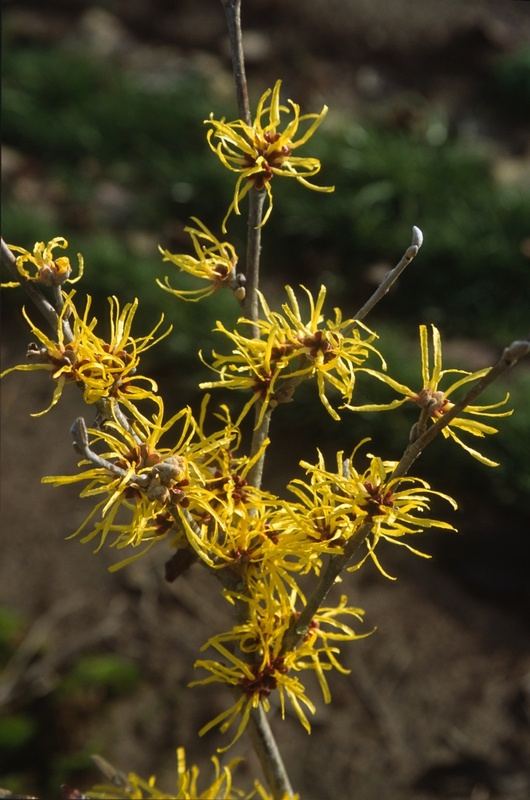 Hamamelis intermedia 'Angelly', along with 'Sunburst', are my favorite yellow-blooming witch hazels. Generally 'Angelly' blooms after 'Sunburst', but last year it went first. 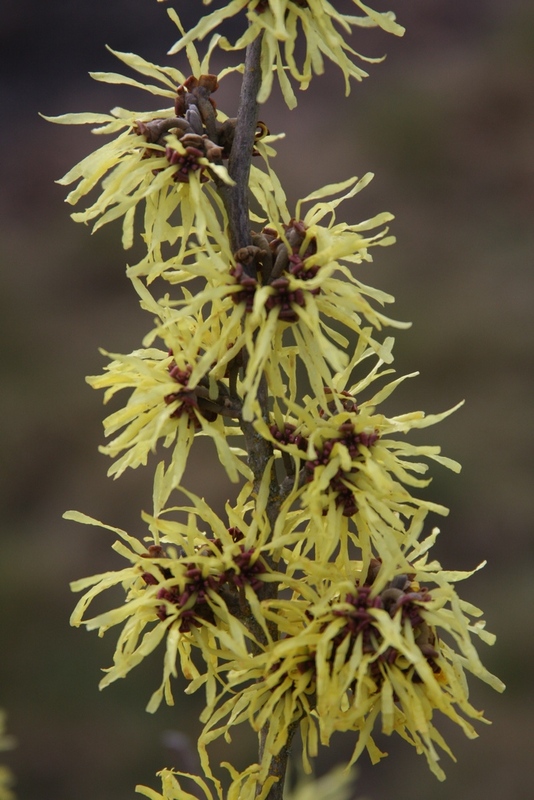 Both of these cultivars are superior to 'Arnold's Promise' in my opinion, as the latter blooms a "dirty" yellow in comparison, but that's difficult to tell from just photographs. They're all nice though--anything blooming in the deep winter can be appreciated. 'Angelly' was intentionally planted next to the road so my wife could find some excitement as she drives the kids to and from school on dreary days. 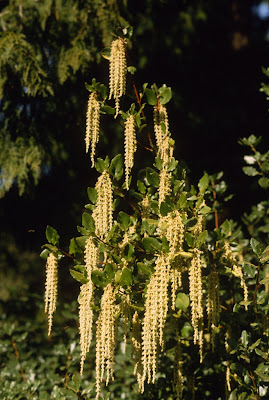 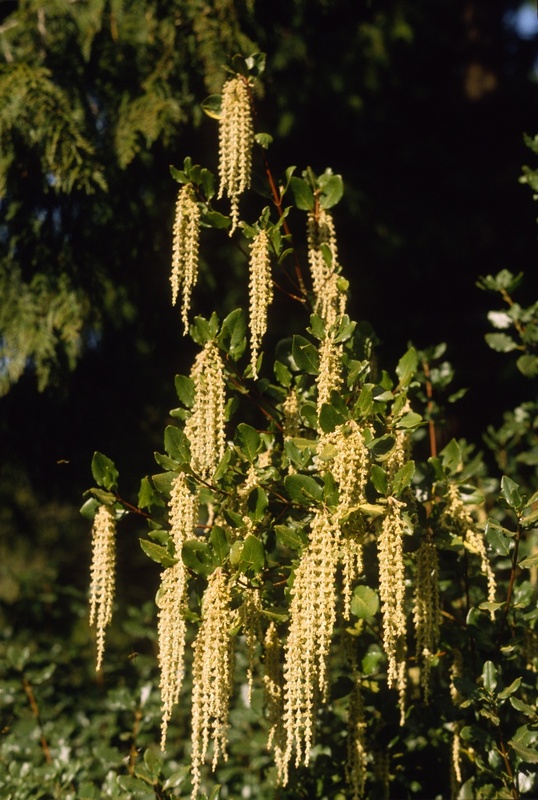 Also close to the road is Garrya elliptica 'Evie', the 'Silk Tassel Tree." 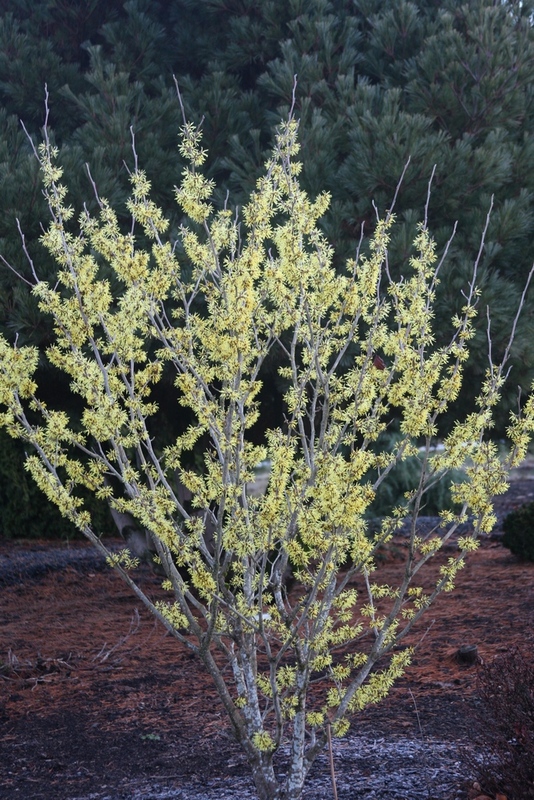 In February this shrub with leathery gray-green leaves produces long gray-purple catkins. 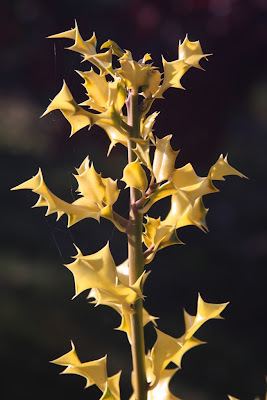 These flowers droop conspicuously, giving Evie, an otherwise boring shrub, a festive-decorated look. 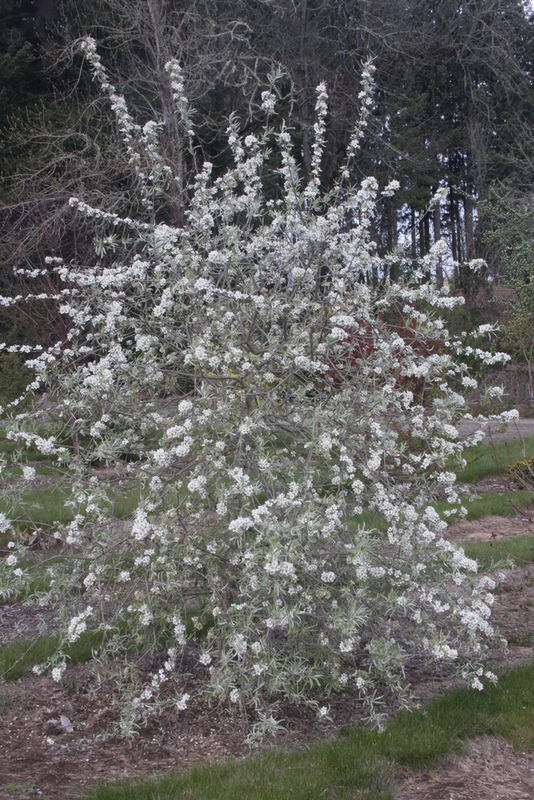 Poncirus trifoliata var. 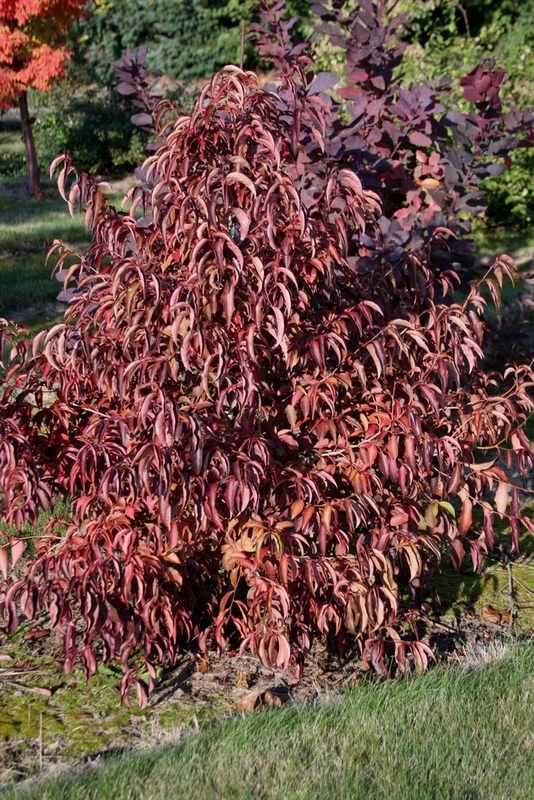 montrosa 'Flying Dragon' occupies a spot in FFDL. 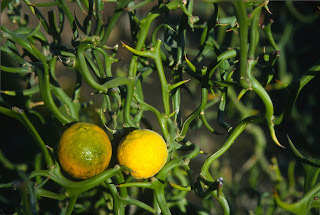 This is a cultivar of the "Japanese Bitter Orange," which is a slow-growing shrub with twisting branches that are armed with vicious thorns. 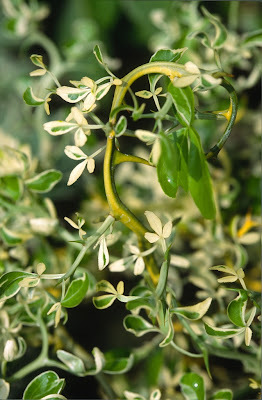 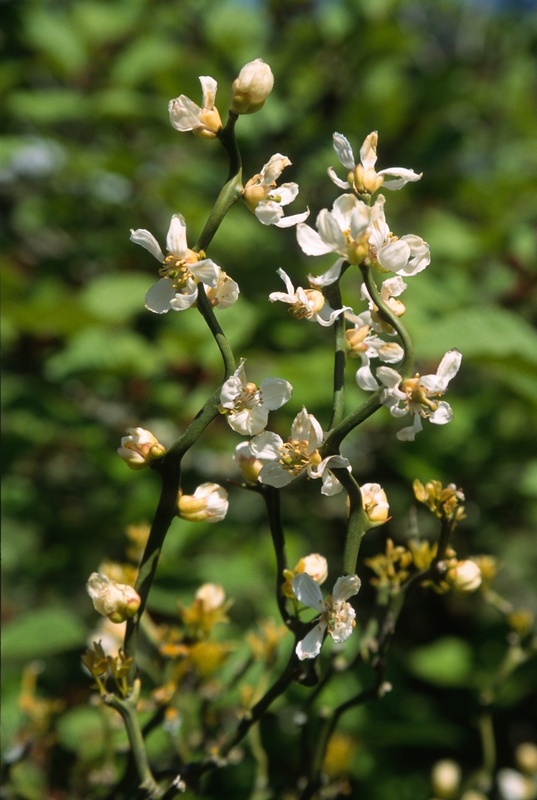 Pretty white flowers adorn this devilish plant in spring, and they are pleasantly fragrant. 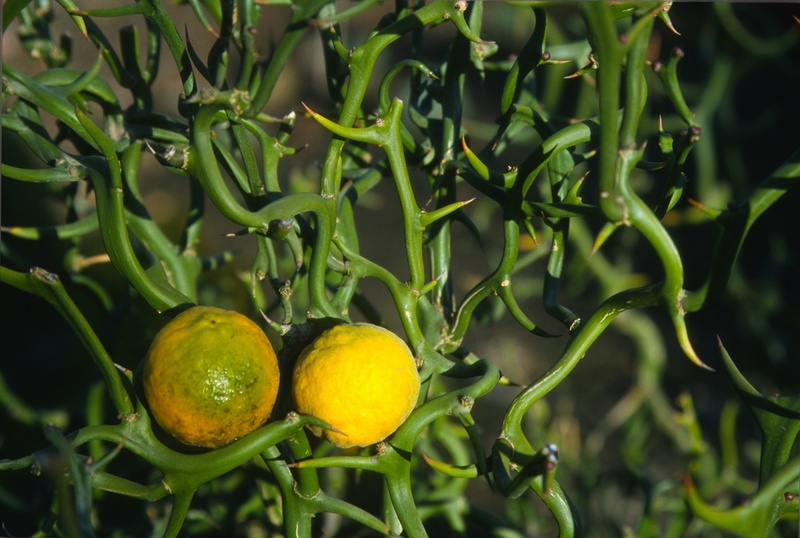 The small oranges, however, are only ornamental--I have tasted one and had to spit it out. 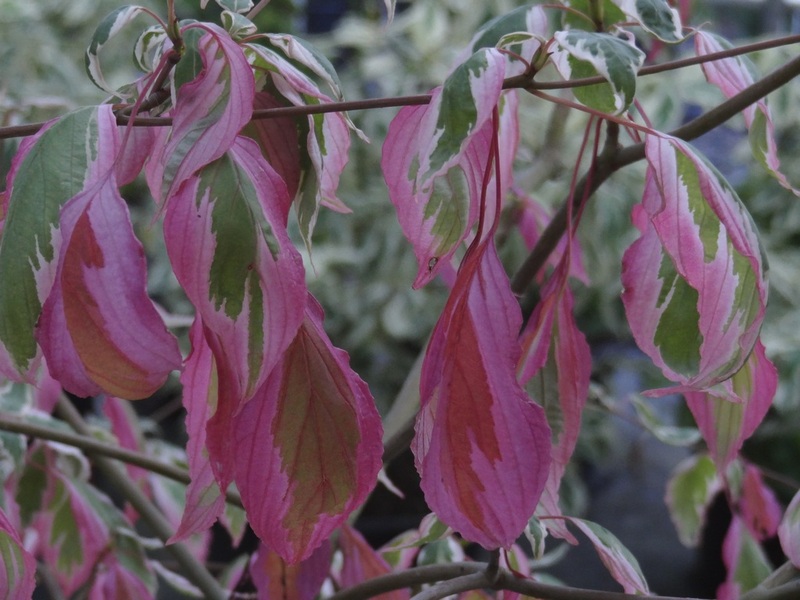 I really don't know how the cultivar 'Flying Dragon' got its name, but it is more dwarf than the type. 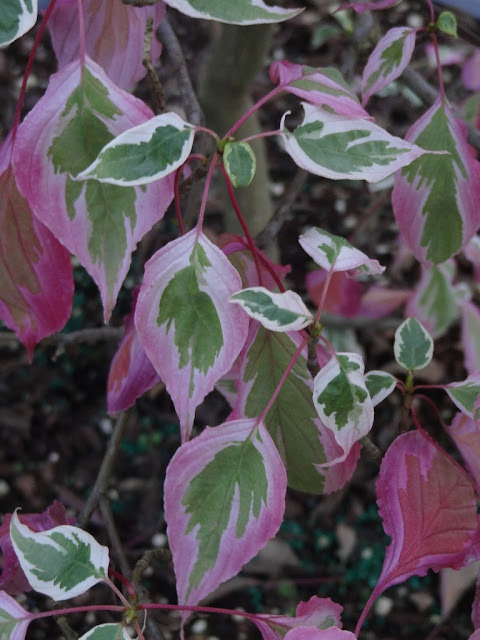 Anyway it provides year-round interest and is hardy to -20 degrees F. I have seen a variegated clone in Japan, but I am not sure if it has ever been introduced into America. 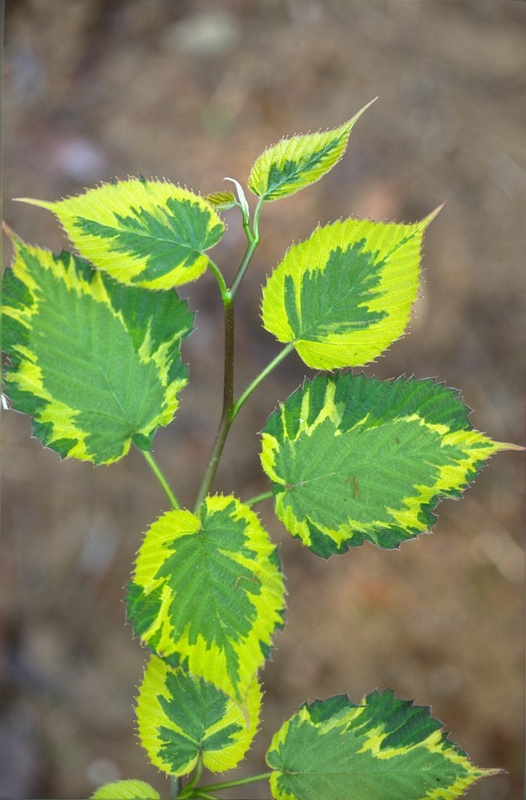 One treasured plant is the variegated Davidia involucrata 'Aya nishiki'. My start came from Shibamichi in Japan, and I doubt that it is yet for sale anywhere in America, except at Buchholz Nursery. 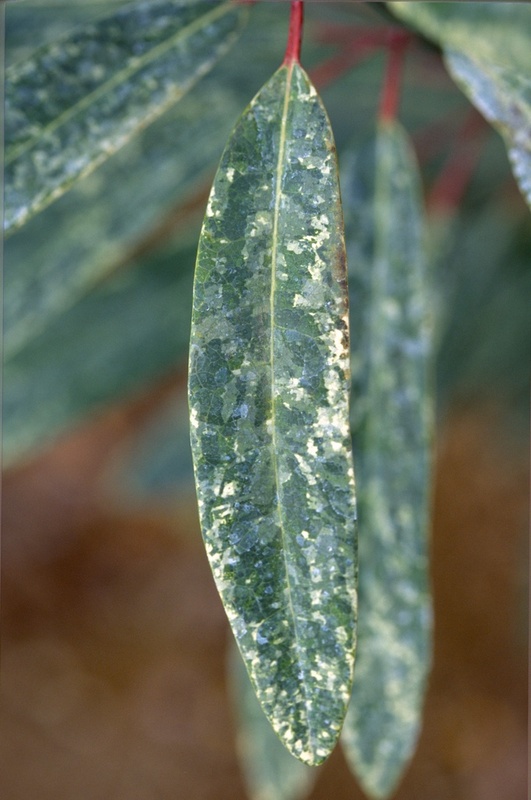 My trees have never reverted, however the foliage does vary in variegation patterns and colors, as the photos above illustrate. 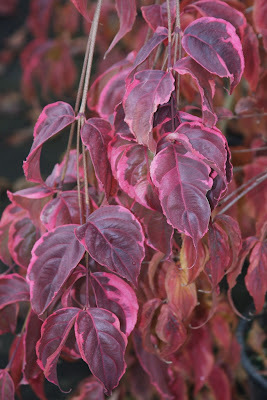 I think they're absolutely brilliant when the serrated margins are edged in purple. 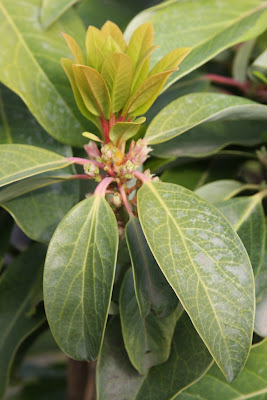 This cultivar can be propagated by rooted cuttings in summer under mist, but to poor success; or by grafting in winter, which sadly, is never highly successful either, at least at my nursery. 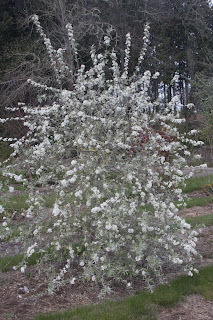 I have some 12 foot trees, but I don't recall if any have bloomed yet. 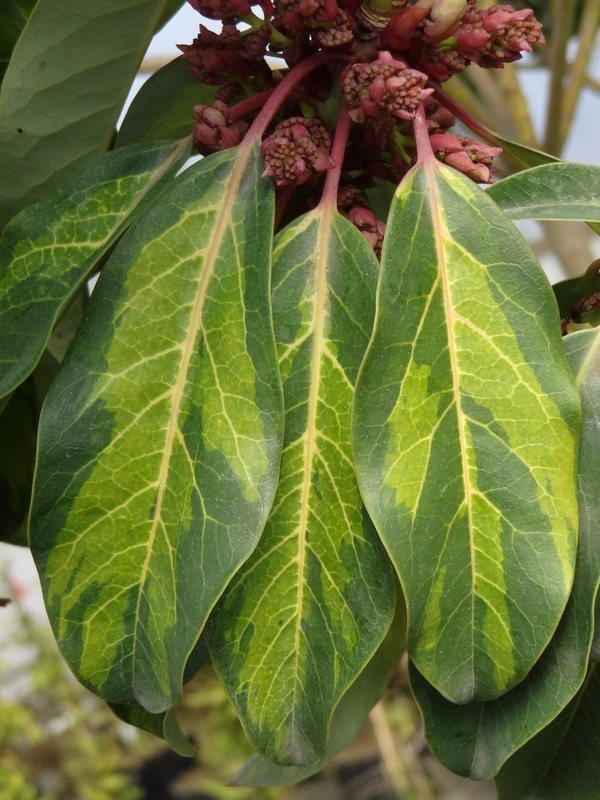 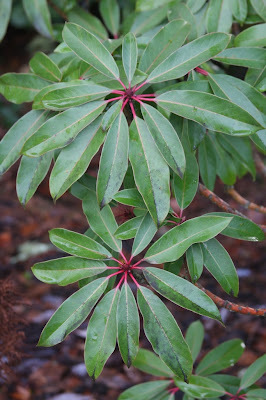 A tree that many visitors are not familiar with is Daphniphyllum, although it is evergreen and attractive, and hardy to -10 degrees F, USDA zone 6. 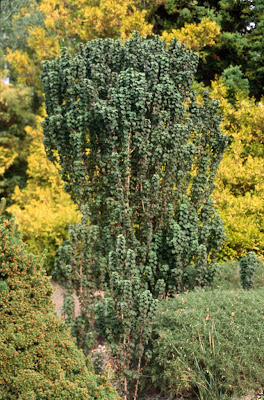 Hillier calls it "aristocratic-looking," and I would certainly agree. Hillier also suggests they are best sited in half-shade, but mine also looks good in full sun in FFDL, and doesn't burn when established, even when temperatures exceed 100 degrees F. Daphniphyllum is probably not well known because it looks like a Rhododendron, handsome true, but one that does not have conspicuous flowers. 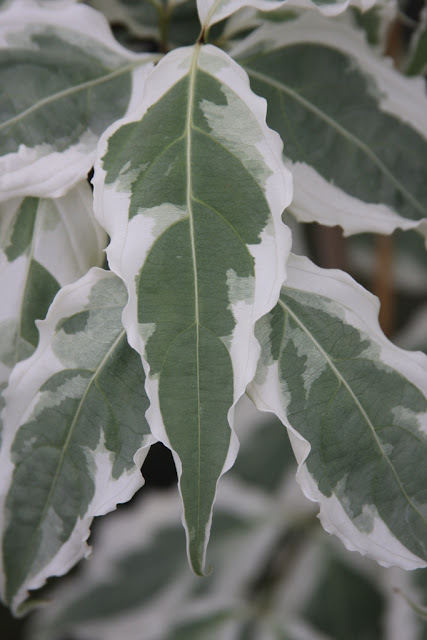 A number of variegated forms exist, all coming to me from Japan, but it's questionable if the species and cultivars are validly named. We'll finish our Deciduous Lands tour with Franklinia alatamaha 'Wintonbury', the only cultivar of the "Franklin Tree" that I'm aware of. 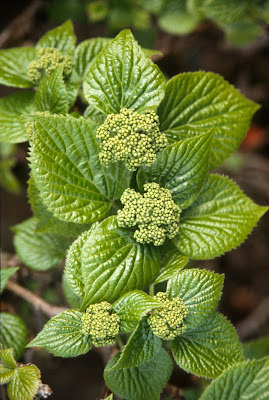 The selection was made from a large plant that is growing in Connecticut, which is allegedly more cold hardy and disease resistant than the type. While we don't get as cold as Connecticut, our bane is late spring frosts which can kill new growth on the tree, or kills trees completely if they are small. So we don't line them out in the fields anymore, but I'm still happy to have one in the collection. Today, at the end of September, the foliage is still half green, but the reds and oranges are now coming on strong. 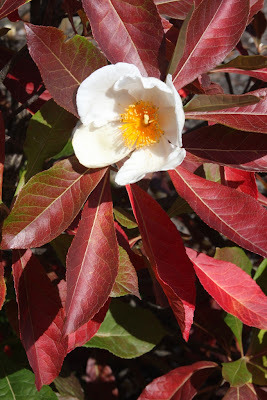 The pretty Camellia-like blossoms are just as cute and perky as if it was still spring.